Last year, Parrot launched a range of minidrones that were more like those miniature toy radio-controlled helicopters and cars than they were full-size professional-level drones. Unsurprisingly, given the growing interest and relatively low price tag, they were a hit and sold more than 600,000 units. 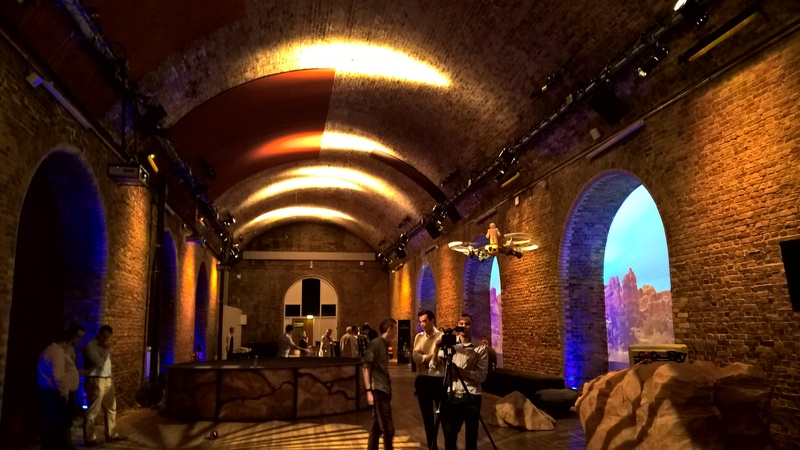 To follow up on this success, Parrot has launched a new range of devices and we got the chance to spend a few minutes going hands-on with each of them at the UK launch. 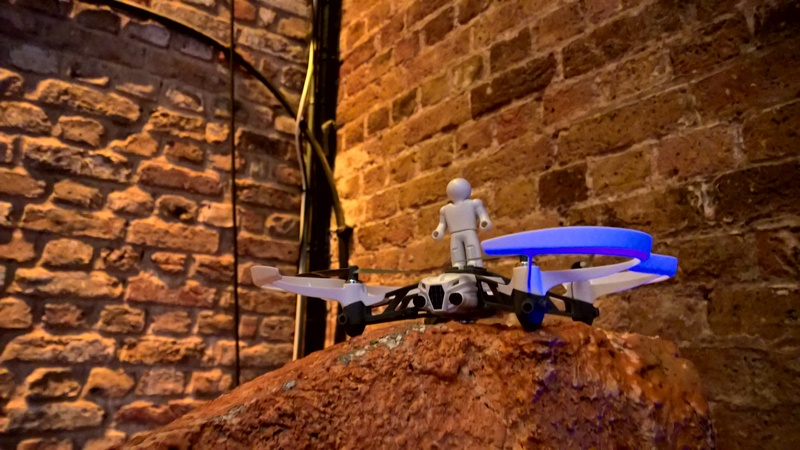 Among Parrot’s new airborne drones, there’s one equipped with dual-LEDs for flying in the dark (cunningly called Airborne ‘Night’) and one for carrying around toy bricks or little figures, called ‘Cargo’. The latter is the sort of thing that could appeal to people that homemade Star Wars drone, but it’s ultimately less impressive. It’s also less hassle though. Flight time is around 9 minutes (less for the Night version if the lights are on) and this year’s models all have a redesigned hull that the company says is stronger and more stable than previous versions. Attaching the hull to either version does also reduce the 9 minute battery life though. If that doesn’t really sound like enough time in the air, batteries are interchangeable, so provided you have a spare you can always have one on charge. A spokesperson told me that if the batteries are in danger of running out, the Airborne models will return gently to the ground. You don’t need to have any experience in flying a drone to use one, as there’s an automatic take-off option. 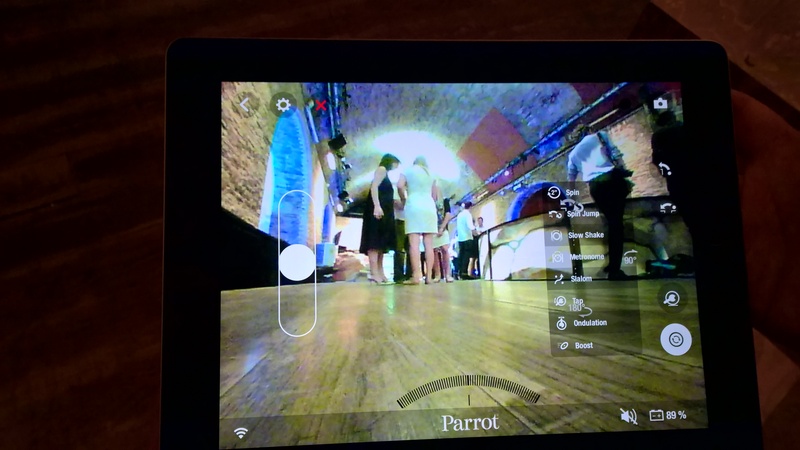 Just press the button on the FreeFlight 3 app (the controls for all the Parrot models) and throw it into the air and it should hover automatically at your preset height. It connects via Bluetooth low-energy, so range is a little limited at around 20m, and has 1GB of storage to capture footage from its embedded camera. I don’t personally see the appeal of the Airborne Cargo, but then I don’t spend a lot of time playing with Lego either. By that reasoning alone, if I was choosing between the two models, I’d probably opt for the Night version – and then wish it had infra-red as well. Flight controls felt a little imprecise and I wouldn’t want to take one outside – the motor struggled to keep it in place against the very gentle breeze of the air conditioning, so it definitely couldn’t handle a gust of wind – but it scored points for its simplicity. Performing tricks is a doddle too – just select from a preset list and double tap the screen. Make sure you have enough room to execute the maneuver though. There are two different models of the Airborne Cargo which cost £79.99 and there are three models of the Airborne Night, which cost £99. In an evolution of last year’s jumping drone, there are now different models equipped for slightly different purposes. They’re designed to zip around (connected to your phone or tablet via Wi-Fi) and come with a wide-angle camera for video streaming. The new models have 4GB of internal memory for capturing footage and now also include a mic and speaker. 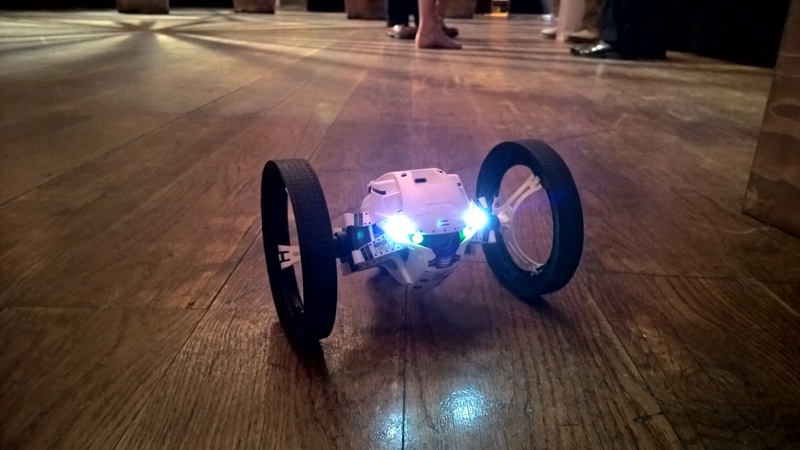 There’s a ‘Night’ robot version that has two LEDs on the front that can either blink or stay steady, just like the Airborne model. There’s also a ‘Race’ model that, instead of LEDs, has extra-wide tires and offers short bursts of speed of up to 8mph. Jumping ability and top-speed (aside of that short speed burst) is consistent across the models at 2.5 feet (vertically or launched horizontally) and 4 mph. If you have the lights switched on and continually jump around, it’ll obviously last less than the average 20 minutes battery life though. Performing different types of tricks is as easy as selecting from a list and tapping a button. There are also preset controls for performing a 90-degree, 180-degree spin or 360-degree spin. Holding down on your phone (or tablet’s) screen and tilting it also controls the direction it’s travelling in. When you want to hop, a little leg extends and pushes against the floor, or can be used to push against something horizontally. These were actually the most fun of the three different types of drone at the event for me. Zipping around, leaping onto boxes (and back down again) and generally banging around without having to worry about breaking it (you might need to worry about breaking whatever you crash into) made it the most care-free of the bunch. They also have the longest battery life of the three different types. All of the jumping range are priced at around £159.99 and are set for release in August. The hydrofoil drone is a new category for Parrot, and one that looks exciting on paper, but that couldn’t really deliver in a quick test in a small pool. In one sense, the hydrofoil drone is a two-in-one. 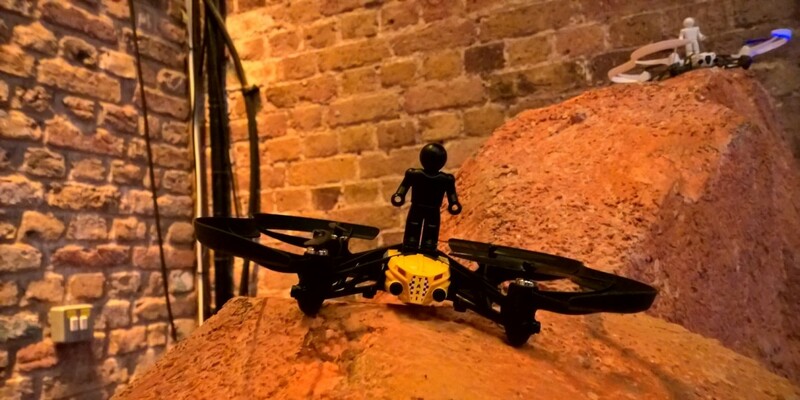 It’s a normal mini-drone attached to a boat hull, but the drone section is also detachable and able to fly as a standalone unit – it has the regular embedded camera in it too. 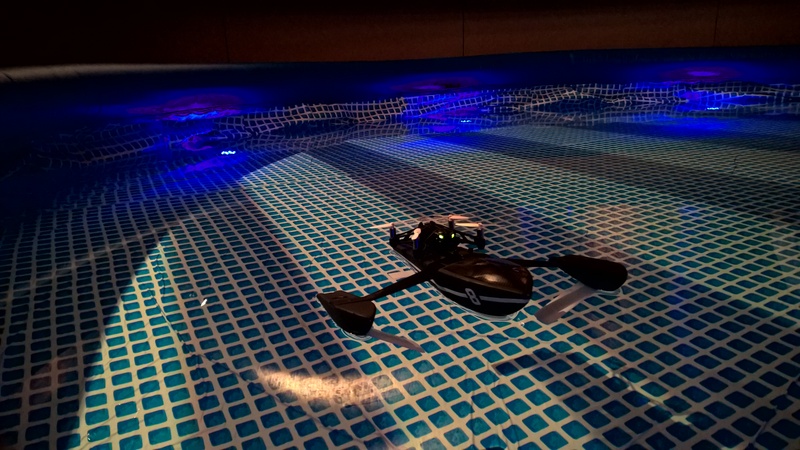 In the water, the drone lifts vertically at the press of a button and is used to propel the whole craft around a lake or pond, or in this case, inflatable pool. As it was such a small test arena, there wasn’t really the chance to test out the aquaplaning claims of the hydrofoil or its top-speed of 5.4 knots (6.2 mph), but it was fun to use for a few minutes and simple to operate. There’s no reverse though – if you get stuck, you drop the four rotors horizontally, and just use the thrust of two of them to get yourself out again, before popping them back up vertically and zipping off. Parrot says this hydrofoil is impossible to capsize too, but don’t go taking it in the sea or any salt-water, as that won’t play nicely with the electronics. The hydrofoil is set to go on sale in August priced at £139.99. 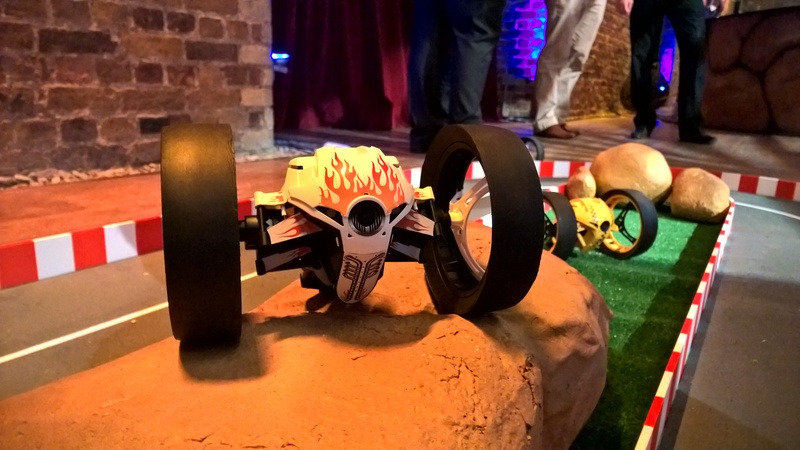 Whether you’re an adult or a child, there’s definitely some fun to be had with Parrot’s next generation of minidrones. How long that fun lasts probably depends on whether you have your own swimming pool or pond in the case of the hydrofoil model, and while I had expected the Airborne Night to be my favorite, I’d probably opt for a Jumping ‘Race’ model given the longer battery life and lack of fear about damaging it. Of course, with just a few minutes playing with each, we’d need a longer test to give a proper opinion on how much appeal they hold in the longer-term or how durable they are.